The excitement is real. After jumping waves, we are soon heading to Tyrol for a week full of skiing. And as a matter of fact, Emilian and I are not the only ones ready to rock the semester break in the snow. Therefore, I have put together some tips that will hopefully avoid any “pre-planning-skiing-crisis”. In case you haven’t yet decided where to go, choose your location wisely OR just trust me, as I know the best ski resort for families in Tyrol: It is the Serfaus-Fiss-Ladis ski area with 214 downhill slopes from 1’200m all the way up to 2’820m. Including eight fun parks, two permanent race courses and of course, the childcare at the “Murmlikrippe”. 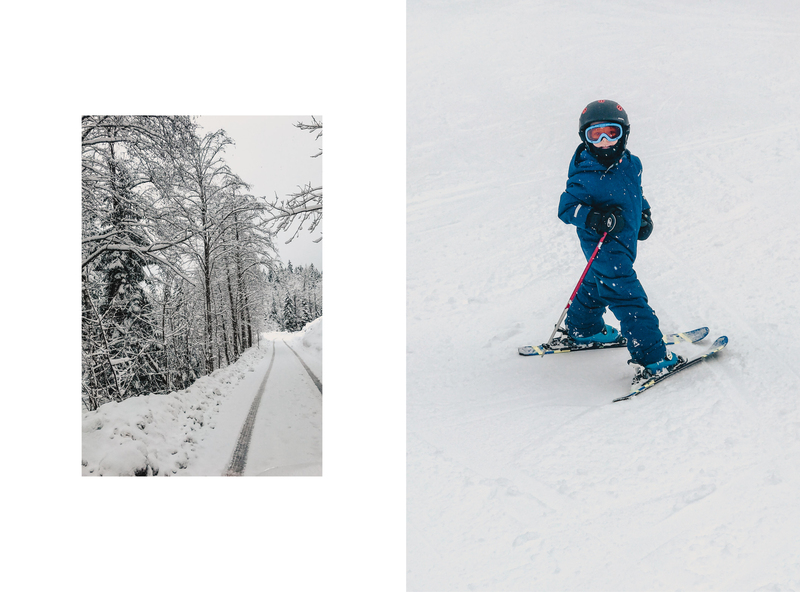 Here’s where I learned skiing at the age of three. I have spent many skiing vacations in Serfaus with my family and always enjoyed them to the fullest. It was paradise for me as a child … and it is still today for me with a toddler. Can’t wait to be back in March! Oh btw, did you know that in Serfaus cars are not allowed? Instead, they offer the “Dorfbahn” which is the world’s smallest and highest air course underground train. It can be reached from any hotel within minutes and goes straight to the valley station. 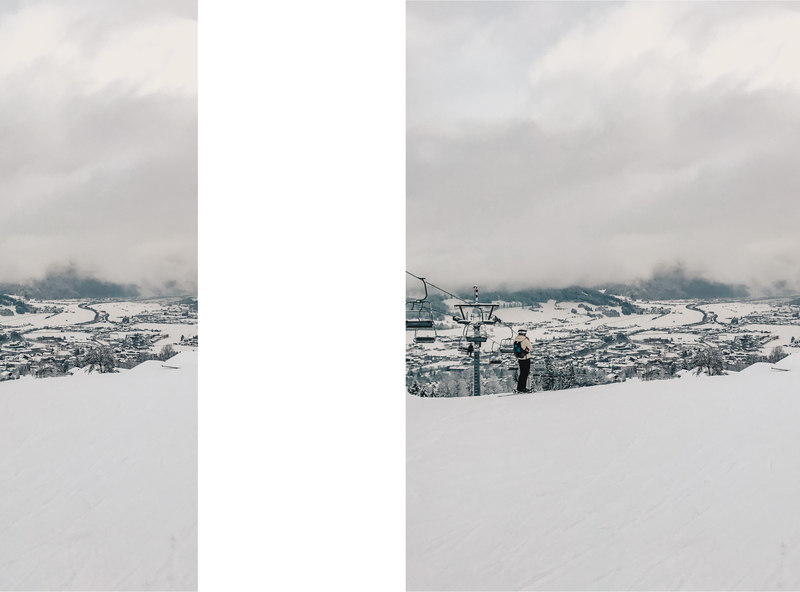 For now, we will be spending semester break in Kitzbühel which I can recommend too, as it’s our third year spending a week skiing here. Pssssssssst: St. Johann is a smaller ski area close to Kitzbühel, very nice and recommended for those who like it easier and familiar. When looking for accommodation, consider getting a hotel nearby or at least, a place that is well connected to the slopes. Preparing for skiing can be hard and tiring enough, don’t add yourself some extra travelling time to the whole experience. The closer, the better… especially with kids. Be well equipped – What to bring? Rocking the slopes with some extra layers is probably a must, especially early in the morning. It will be cold up there, so have your kids looking like a mini-onion. 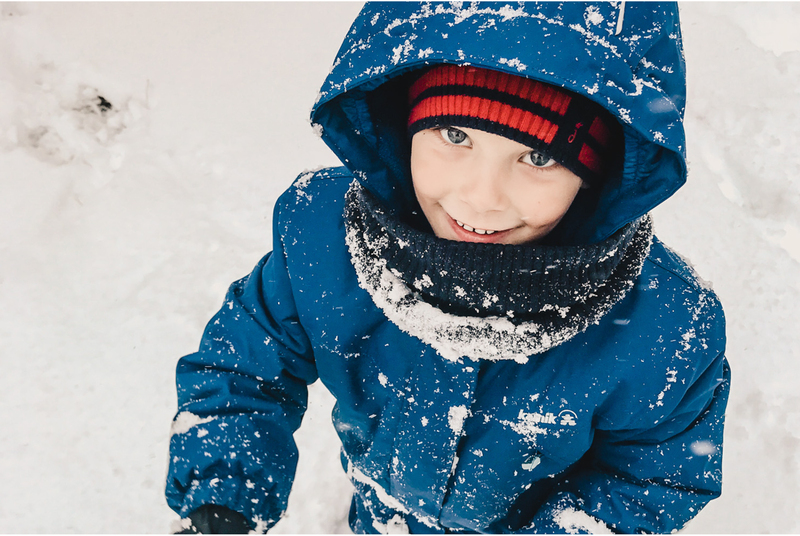 Take plenty of warm clothes when you go skiing with kids for the first time as young children are sensitive to the cold. I definitely recommend a ski-overall for kids. When skiing with a toddler, forget scarves. They could eventually be dangerous. You can now go for a turtle neck sports jumpers or simply a neck warmer. They won’t get lost and will not be dangerous. In fact, Emilian prefers the balaclavas or “Ninja hood”, as he likes to call them. Do never, ever save money on the gloves. Never! Additionally, grab some “hot hands” before going up to the mountains. Your toddler (and yourself) will be happy to have those with you to switch them from pocket to pocket or even drop them into your boots for a while. Have a cold cream and some sunscreen at all times. Pssssst… I always have this one with me as it fits in any pocket! 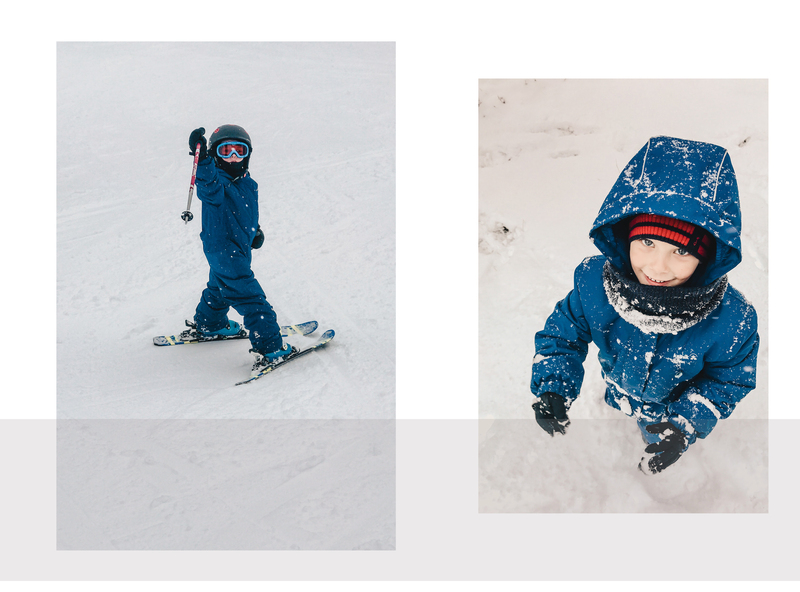 Don’t buy your toddler the ski equipment. You can borrow it from a friend, a store or even get it for free when they attend a ski school. Resist the “1 more time”. 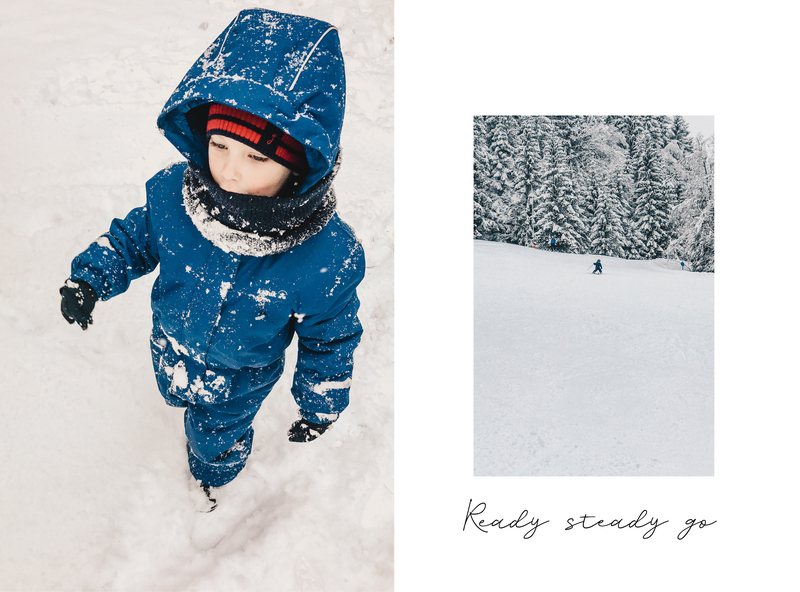 There’s no point in toddlers reaching their max on the slopes. Stop before they start getting grumpy, cold, tired and irritable. It can even result in having a skiing accident. So, don’t be a pushy parent. DER Ort für Familienferien im Schnee ist Serfaus-Fiss-Ladis in Tirol. Schon als kleines Kind war ich oft dort, und seither immer wieder. Die Kinder treffen sich in der “Murmelikrippe”, die Eltern vergnügen sich bis auf über 2’800 Meter Höhe auf den 214 Pisten. Autos sind in Serfaus nicht erlaubt, dafür fährt die “Dorfbahn” – die höchstgelegene U-Bahn der Welt. Optimal mit Kindern, die sich gerne unerlaubt auf die Straße stürzen. Auch Kitzbühel ist sehr empfehlenswert, auch wenn der Fokus hier nicht zwingend nur auf den Kindern liegt. Wer es etwas einfacher haben will, dem rate ich – ganz in der Nähe – zu St. Johann in Tirol. Das Hotel sollte unbedingt günstig gelegen sein, das heisst: nahe bei der Talstation bzw. den Skipisten. Mit Kindern lange Wege im Schnee: besser nicht! Warme Kleidung ist selbstverständlich. Kinder anziehen wie eine Zwiebel. Und oben drüber am besten einen Ski-Overall. Nur ja keine Schals – die sind gefährlich. Stattdessen einen Rollkragen-Sportpullover oder einfach einen Nackenwärmer. Kältecreme und Sonnenschutzcreme so, dass sie in jede Jackentasche passen. Aufhören, wenn es am Schönsten ist. Nicht übertreiben. Sind Kinder müde, werden sie grantig, fangen an zu frieren … und produzieren zum Schluss vielleicht noch einen Skiunfall.